Robert Clayton Shantz (born September 26, 1925) is a former Major League Baseball pitcher for the Philadelphia Athletics (1949–1954), Kansas City Athletics (1955–1956), New York Yankees (1957–1960), Pittsburgh Pirates (1961), Houston Colt .45's (1962), St. Louis Cardinals (1962–1964), Chicago Cubs (1964), and the Philadelphia Phillies (1964). A left-hander, Shantz began his career as a starting pitcher, but about halfway through he converted to a competent relief pitcher. In 1951 he added the knuckleball to his repertoire. Standing only 5 ft 6 in (1.68 m), Shantz had a career record of 119 games won, 99 games lost, and an earned run average of 3.38. Shantz enjoyed his best season in 1952 when he led the American League in wins (24) and won the MVP Award. In the process, he led the A's to a fourth-place finish. This was their last winning season in Philadelphia. The 1952 A's had some good players, including batting champion Ferris Fain, shortstop Eddie Joost, home run hitter Gus Zernial, and fleet center fielder Dave Philley. In a September 1952 game, Shantz's left wrist was broken after it was hit by a pitch thrown by Walt Masterson. The following season, Shantz injured his shoulder in a game against the Boston Red Sox. Shantz saw only limited action for the rest of 1953 and pitched only eight innings in 1954. After the 1954 season was complete, the Athletics were sold and moved to Kansas City for the 1955 season. 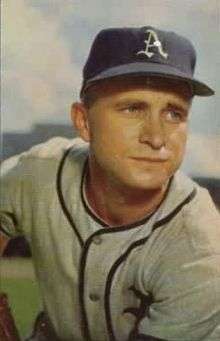 A highly skilled fielder, Shantz won eight consecutive Gold Glove Awards from 1957 to 1964 (American League, 1957–60; National League, 1961–64; in 1957 the award was rendered for both leagues). Shantz also was selected for the All-Star Game in 1951, 1952 and 1957. In the fifth and final inning of the 1952 All Star Game, the left–handed Shantz exhibited his distinctive sidearm delivery and sharp curve and control and struck out three consecutive National League hitters: Whitey Lockman, Jackie Robinson and Stan Musial. Shantz appeared in relief three games each in the 1957 and 1960 World Series with the Casey Stengel managed New York Yankees. Shantz had the distinction of being selected in expansion drafts in consecutive seasons. He was selected in the 1960 MLB expansion draft by the Washington Senators from the New York Yankees, and in the 1961 MLB expansion draft by the Colt .45s from the Pittsburgh Pirates. He is the brother of former Major League catcher Billy Shantz. 1 2 3 4 "Bobby Shantz Statistics and History". baseball-reference.com. sports-reference.com. Retrieved November 8, 2015. ↑ "Shantz Suffers Broken Wrist As A's Nip Nats". Meriden Record. Meriden-Wallingford, Connecticut. Associated Press (AP). September 24, 1952. p. 4. Retrieved November 8, 2015. ↑ "Bobby Shantz Is Sidelined With Injured Shoulder". Lodi News-Sentinel. Lodi: CA. United Press International (UP). May 22, 1953. p. 10. Retrieved November 8, 2015. ↑ Fraley, Oscar (May 19, 1955). "Bobby Shantz Apparently Has Made It All The Way Back". The Wilmington News. Wilmington, North Carolina. United Press International (UP). p. 17. Retrieved November 8, 2015.